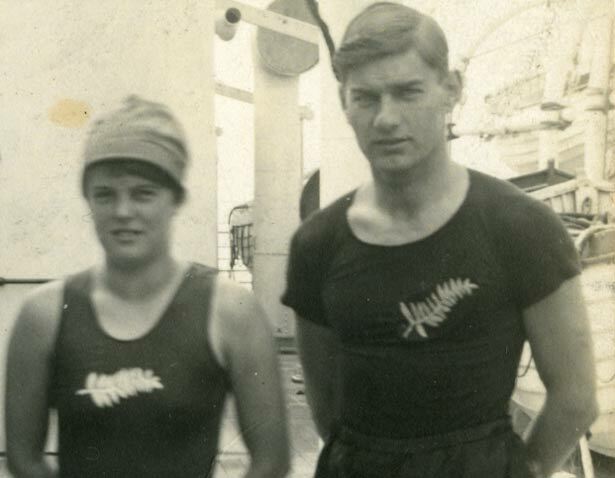 New Zealand’s Olympic story began in London in 1908, when three athletes competed as part of an ‘Australasian’ team. A century later we sent our largest-ever national team to Beijing, with 182 competitors flying the flag. In 2012 the Games returned to London and was one of New Zealand's most successful Olympics yet. Over the years this country’s Olympians – more than 1000 of them in total – have produced plenty of memorable moments: from the pioneering efforts of Harry Kerr, Violet Walrond and Arthur Porritt to the track triumphs of Lovelock, Snell and Walker, and the golden achievements of our rowers, canoeists, equestrians and yachties. There have also been plenty of near misses and hard-luck stories. For many, it really was the taking part that counted. But there has always been much more to the Olympics than the efforts of athletes. All too often, the Games have been marred by political wrangling, boycotts, controversy, even tragedy. From the Nazi spectacle of Berlin to the Montreal, Moscow and Los Angeles boycotts, New Zealand athletes have often been caught up in events far beyond their control. The modern Olympics have also seen a revolution in the speed and extent of media coverage, as well as the abandonment of its founders’ amateur ideals in favour of professionalism. We have 1 event in history, 7 biographies, related to The Olympics.